Cucumbers should be stored at room temperature – not in the refrigerator. 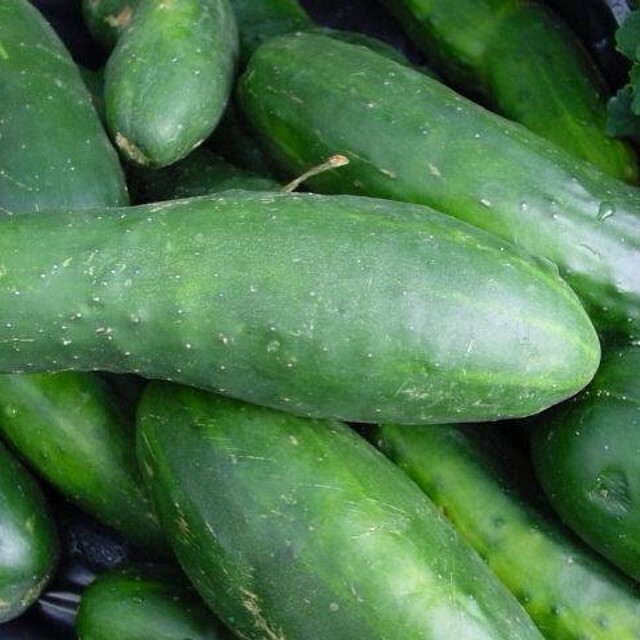 Cucumbers are sensitive to temperatures below 50°F and may develop "chilling injuries" including water-soaked areas, pitting, and accelerated decay. If you must refrigerate your cucumbers, limit it to 1-3 days and eat them as soon as possible. Snacking on cucumbers can help curb hunger. Cucumbers are a great source of B vitamins and carbohydrates that can provide that afternoon pick-me-up that can be just the jolt that you need. Want to avoid a hangover or terrible headache? Eat a few cucumber slices before going to bed and wake up refreshed and headache free. Chinese Traditional Medicine (TCM) believes cucumber has the ability to soothe the nerves and aid in the treatment of insomnia.